Join Chef Simon Taylor for his demonstration of a traditional French dish, Tuna Niçoise, and indulge your chocolate dreams in Pastry Chef Jenni Key’s cake decorating class. Our sensory evaluation workshop with Wine Lecturer Trevor Maskell is a crowd favourite, and will stimulate your appetite for wine appreciation. Meet and chat with current Bachelor students in attendance at our Training Bars. If you’ve never seen the art of sugar pulling, watch our Advanced Diploma of Hospitality Management students create a sugar sculpture, then stay for a treat at the oyster shucking table. Talk to us about our world-class Bachelor of Business degrees in hotel or restaurant management. Our culinary arts certificates and diplomas offer expertise in patisserie or cuisine. 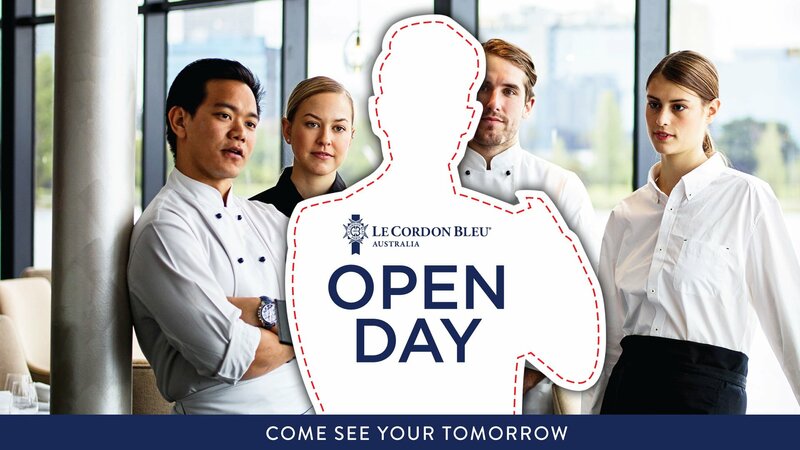 With 95% of our graduates employed within 6 months, come and see your tomorrow at our Adelaide Open Day.